There are many things that Bristol can be proud of, but one of the biggest is the overwhelming support for independent local businesses, along with the diversity of choice on offer. Nowhere in the city is this more apparent than on Gloucester Road; still one of the longest stretches in the country consisting mainly of thriving independent shops, bars and restaurants, which obviously makes it ripe for a good ol’ pub crawl. I’ve started my list from the top end nearer to Horfield (although just beyond is The Inn on the Green, which is a fantastic pub), just because I think it makes sense to end your journey nearer to the centre of town, but the choice is yours! Here are my top tips for boozing in BS6. A standard Bath Ales/St Austell pub with a decent selection of cask ales and craft beers alongside the usual big names. They have a pool table and a reliable menu of pub favourites – not one of the most exciting pubs on the route, but a decent starting point and large enough to accommodate groups inside or in the front & back garden. It’s the nearest pub to The Memorial Stadium so can get very busy on match days. Make sure you include this cosy and friendly micro pub on your travels. CAMRA types will love this place, real ale is the order of the day here, although a couple of wines and gin is also available. Simple but the sort of place you could easily lose an afternoon. Comic books, booze and err, hot sauces. What more could you want? Another unusual stop-off that’s well worth a visit, whether you want to peruse the extensive beer and cider range or get an education in graphic novels. A relaxed and pleasant pub a mere hop, skip and a jump from The Golden Lion. You’ll find an eclectic selection of real ales on tap, as well as a good value food menu (their steak night on Thursdays is worth a look too). It’s a decent size, so you’re more likely to find a table than in the cosy Golden Lion. 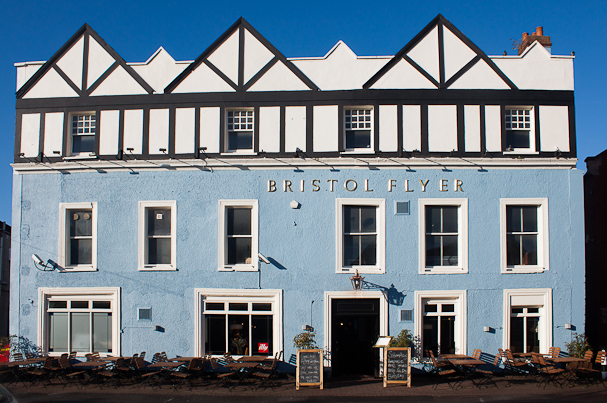 A gem of a pub – the exterior bears some brilliant local graffiti (now becoming a trademark for many of Bristol’s finer establishments) and as well as a great drinks selection, there are also plenty of fun gigs on every week. It’s amazing how much they cram in to such a dinky space! Check out their Twitter for their event listings. Just off Gloucester Road, but well worth the minor detour if you’re in a large group as this place is huge, and made bigger by its sister pub on the other side of its pub garden, The Annexe. The Sportsman has a good selection of cheap beers, ales and other standard drinks as well as offering a great value pizza menu. The Annexe also has a cheap food menu, which is another reason why this a good option for starting a long day of pub crawling. Beware if you’re planning on heading here on the same day as a cricket or Rovers fixture – this pub is close to both grounds so can get rammed! The Lazy Dog nearby is also a winner for food and events but can also get quite busy depending on the time of day – not the best for large groups. Formerly The Robin Hood’s Retreat, this pub has undergone a nice revamp both in terms of the decor and menu – you’ll be very happy with both I imagine. The food is a good mix of tapas style plates and some super tasty pizzas. The garden out the back is huge too, so you could easily while away several hours here. A maze of nooks and booths, this pub seems to go on forever, plus it has a decent pub garden out back too which sometimes hosts barbecues. The drinks selection is almost overwhelming, with over 20 speciality beers and ciders on tap at any time, as well as an abundance more in bottles. It’s also well located opposite the foodie favourites of Planet Pizza and Atomic Burger – two more places worth considering if you’re in need of a refuel. Next up The Cider Press feels like a student pub but it’s large enough that you can usually find a seat. Newly refurbed, this bar is cosy, comfortable and offers up a decent menu alongside a good selection of craft beers and ales. If you time it right you might see some live music, or if you pop in on a Tuesday their cask ales are a mere £2.50! This pub has gone through a few incarnations in the past few years, but the latest seems to be the most successful. The drinks on offer are standard fare at decent prices, but the real star of the show is their burger and barbecue menu, part of which I reviewed here. Taken on the Kraken Challenge if you dare! Always busy and for good reason; this establishment doubles up as a trendy and casual bar as well as an impressive restaurant at the back. The outdoor seating is perfect for people watching, and there are often good gigs on during the week. Check out their cocktails if you get a chance! One of my favourite brunches in town, but these lot also do some tip top cocktails and fine beers, plus the interior is suitably dark, edgy and cool to set the mood for a night out. 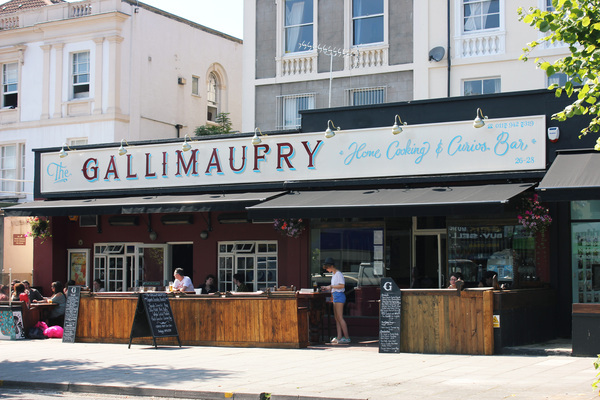 Cheap and cheerful, this bar also has a good outdoor seating area and a range of good gigs on throughout the month; be sure to check their website (linked in the title above) for the most up to date info! A Gloucester Road staple and as reliable as it is charming. There are plenty of good ciders and beers on offer, in addition to a great and ever-changing menu. You get the full mix of Gloucester Road characters in this pub, and it’s just as good for a lazy Sunday afternoon drink as it is for a late night session with friends. As you come to the junction with Zetland Road, officially you have reached the end of Gloucester Road, and thus your challenge has been completed – well done! However, if there’s still life in you yet, you can nod along to some jazz with a fine cocktail in the Bristol Bootlegger; check out The Bishops for cheap drinks in a generic chain pub setting; or shimmy down to The Cat & Wheel for cheap drinks and bizarre surroundings. Brilliant! We often visit the Gloucester Road but haven’t done many of the pubs… now the only decision is, who should drive home?! It’s a lush little pub – I’d definitley recommend their gigs, but the atmosphere is just really nice anyway. 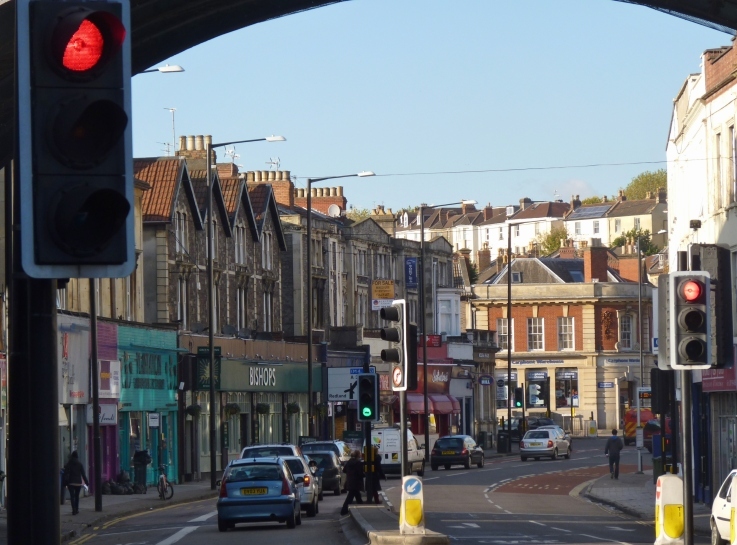 So it is – it’s hard to find a good photo looking down Gloucester Road though, and this is the point I thought most people would start/finish their pub crawl – will try to find a more accurate pic though!